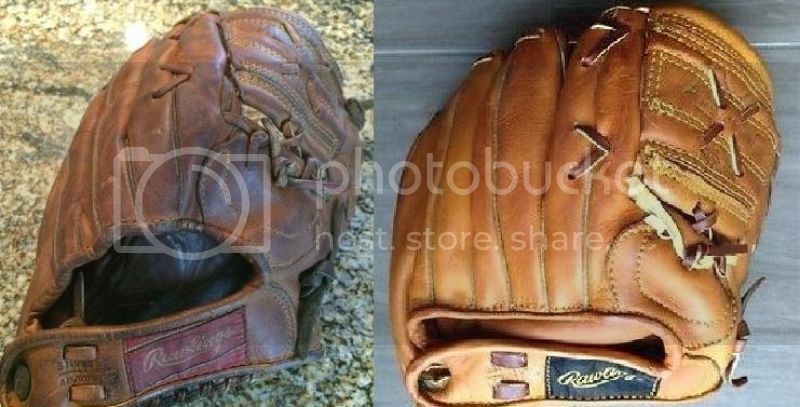 My Doak glove was about the same price as the Glovester's. It's been a long time since I have had a nice double patch model so the finger lacing didn't bother me. The "Deep Well Model" "Improved Doak" glove appeared in 1941. The black cloud patch was used through most of the '40's and the steel button instead of brass may indicate a wartime mfg. date. Hey Don ole buddy, I still got the rolled web Rawlings glove you laced for me! Now tell me, exactly which Pepper Martin are you looking for? Hey Mark, It is the elusive PM model, has a laced pinky ring finger, Pepper Martin Deluxe is on the palm/pinky heel. Not the 400V model. could have had one of those, but not what I was wanting...seem to be as rare as hens teeth??? Hey Guys, reached a milestone moment yesterday, my boy stacked hay as I leisurely drove the tractor!! bout time, 16 years in the making and the hay didn't fall off the wagon!! A recent and lucky find. A circa 1955 Rawlings "Harvey Haddix" model HH "The Kitten". I have seen a lot of this model at auction just beat to hell. 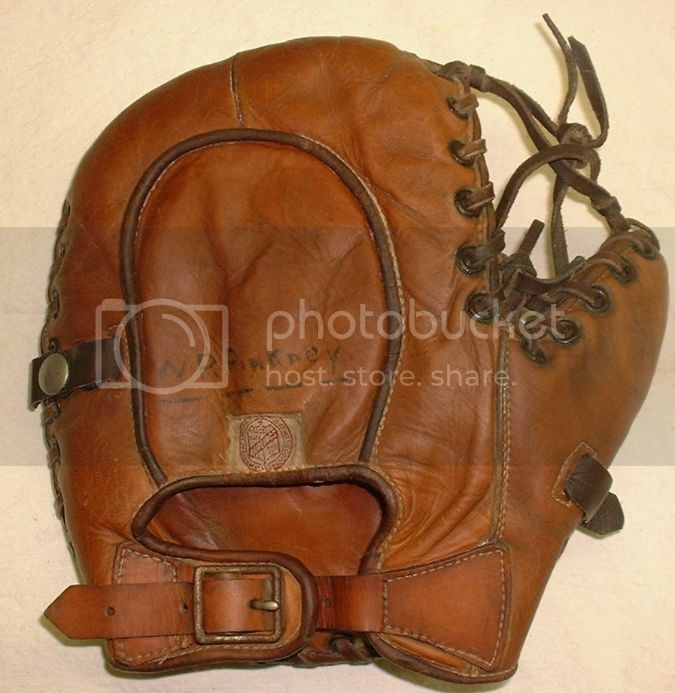 It was Rawling's most expensive glove back in the day and meant to be played with. I first saw a beater version in an antique shop many years ago and liked it a lot except for the condition. I didn't know if I would ever find one in reasonable shape. This one is pretty nice. 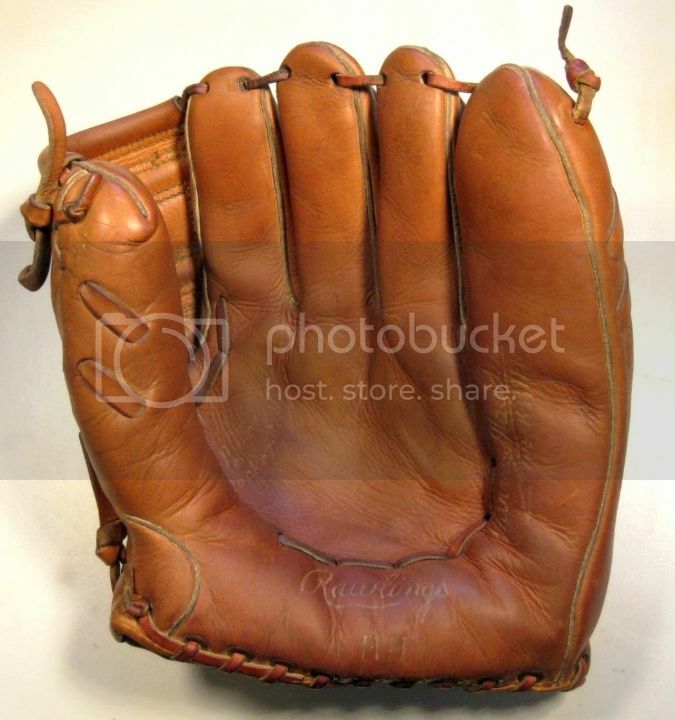 It's a big 'Ol glove, definitely an outfielders model. I can see why Mays and Mantle gravitated to the HH early in their careers. Joe did an interesting analysis of the MC/HH/HSP models http://www.vintagebaseballgloveforum.com/phpBB3/viewtopic.php?f=10&t=2285 An interesting little tidbit. Haddix was nicknamed "The Kitten" during his rookie campaign at St. Louis for his resemblance to another lefty, Cardinal pitcher Harry "The Cat" Brecheen. Harry was quick as a cat at pouncing on bunts. Pretty funny stuff. What a difference a year makes!. A circa 1959 chocolate brown model DS on the left and a spectacular golden brown 1958 anniversary issue on the right. 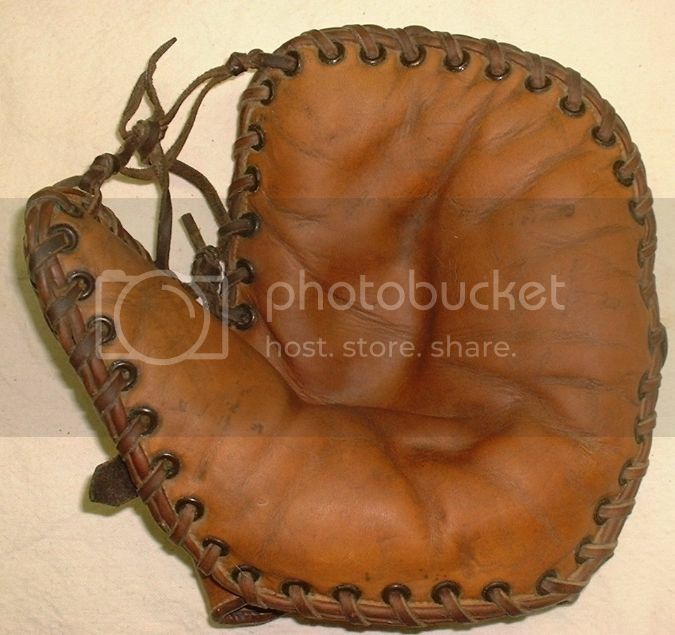 A mid to late 20's "Joe Hauser" model baseman's mitt. A top of the line model in its day, mainly because of the latina patented thumb and finger loops. 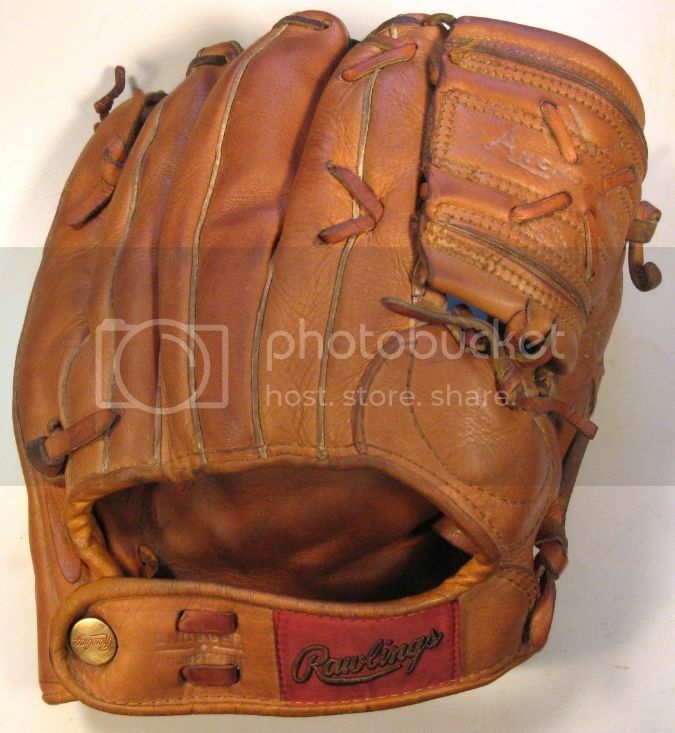 The Rawlings mitt above is not mine though I wish it was. I really like Rawlings equipment. I saw the Heritage Joe Judge gamer a few days ago and the design looked interesting. You don't see the snaps too often on a 1B mitt. I have a Brine one (possible Rawlings made it since I've seen other Rawlings models with James Brine labels) but other than these Rawlings, not sure I've seen others.